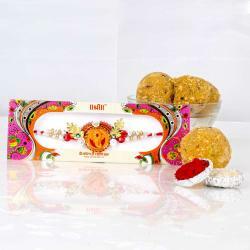 Product Consists: Wooden Beads Rakhi Threads, Kesar Peda (Weight: 200 Gms), Rakhi Greeting Card along with Packet of Roli Chawal. 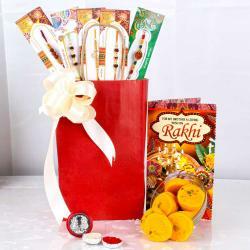 To share your love with them in the most impeccable way, an impeccable combination could only serve the purpose of gifting accurately. 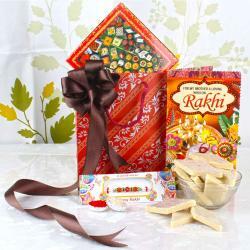 A Rakhi hamper have Rakhi Card with tasty Kesar Peda, yes it can be the most impressive gift for this festival. 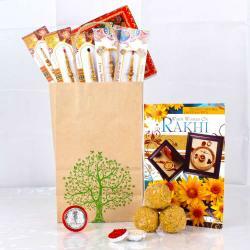 So, get such an incredible combination easily with us for Rakhi festival. 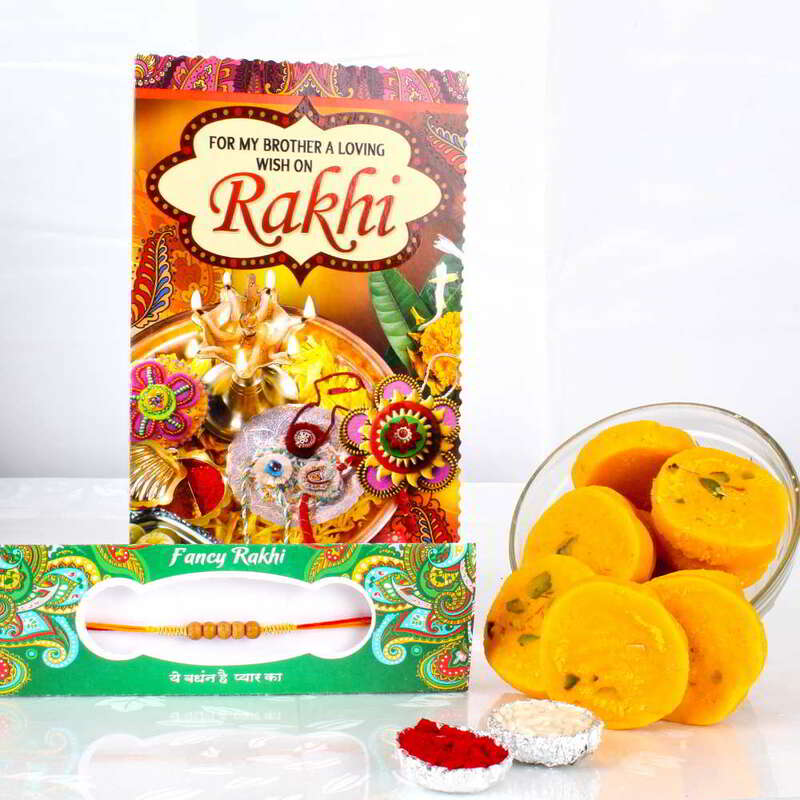 This beautiful Rakhi Combo includes: Wooden Beads Rakhi Threads and Kesar Peda (Weight: 200 Gms) with Rakhi Greeting Card along with Packet of Roli Chawal.